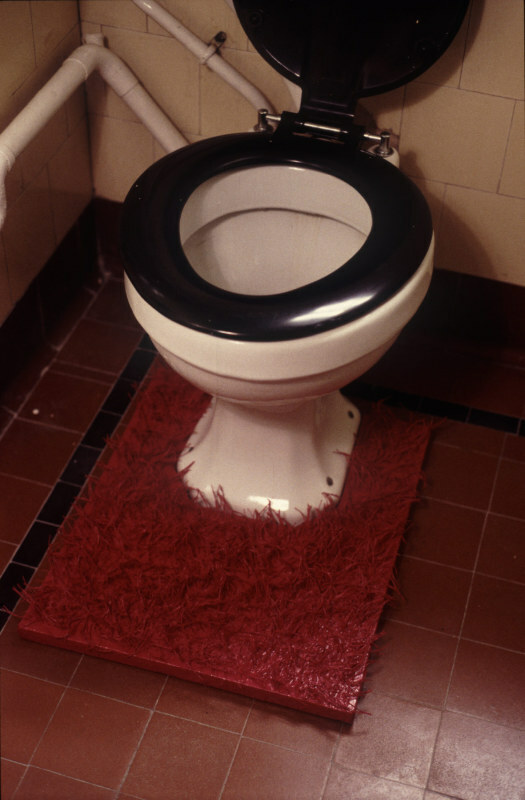 Toilet Mat is a painting of a toilet mat that also functions as a sculpture of a toilet mat. 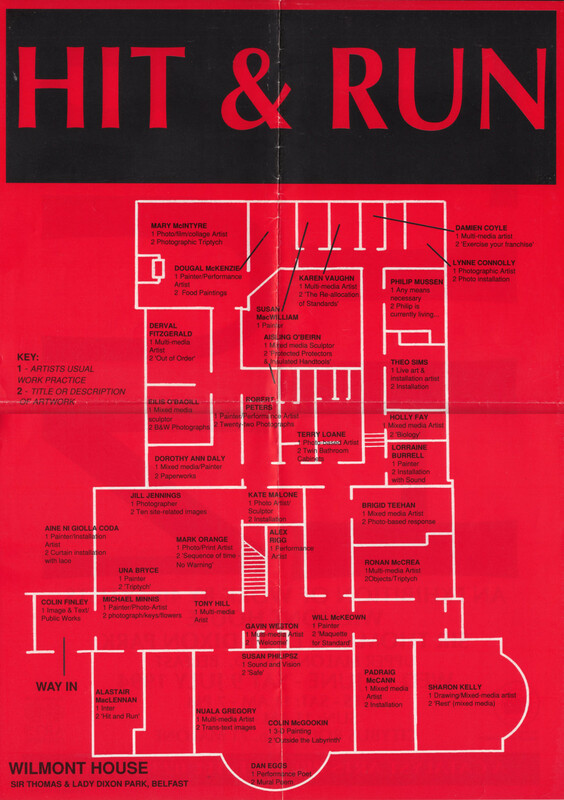 A site specific work for the Catalyst Arts exhibition Hit & Run, at Wilmont House, St Thomas and Lady Dixon Park, Belfast, 1994. 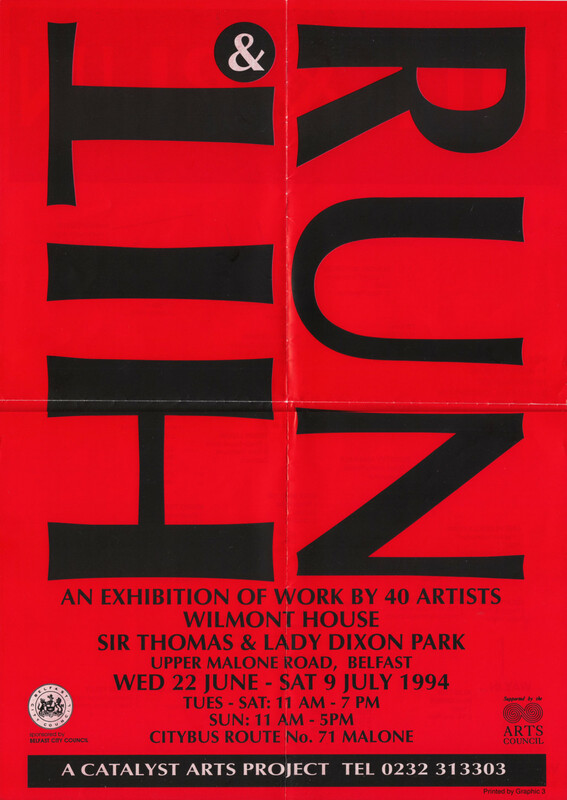 For the 1994 Catalyst Arts exhibition Hit & Run, artists were asked to make site specific work for installation in Wilmont House, Sir Thomas and Lady Dixon Park, Belfast. 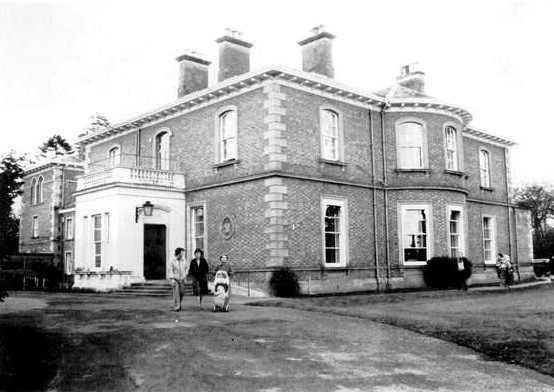 From 1963 to 1988 Wilmont House had served as a nursing home, since which date it had remained unoccupied. 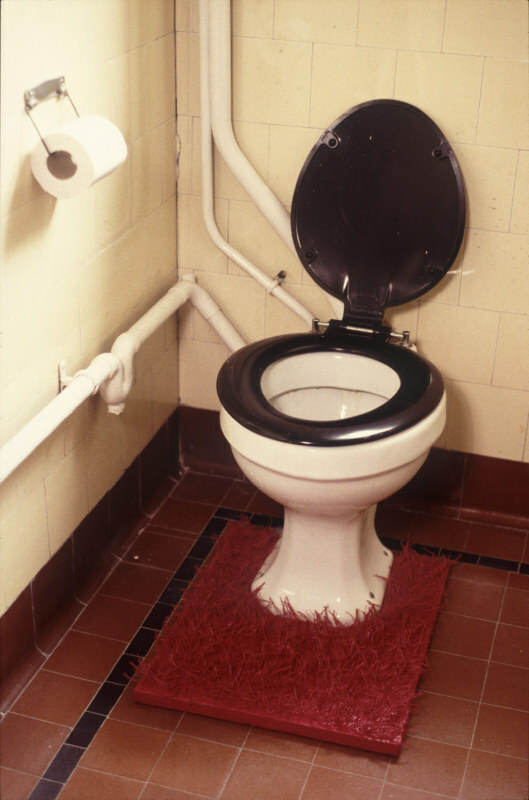 Fabricated as a painting with wooden stretcher frame, Toilet Mat, was made to fit exactly the base of one of the toilets. The stretched canvas is pierced with linen thread and painted with a mixture of oil paint and industrial paint in a rich pinkish mauve colour. 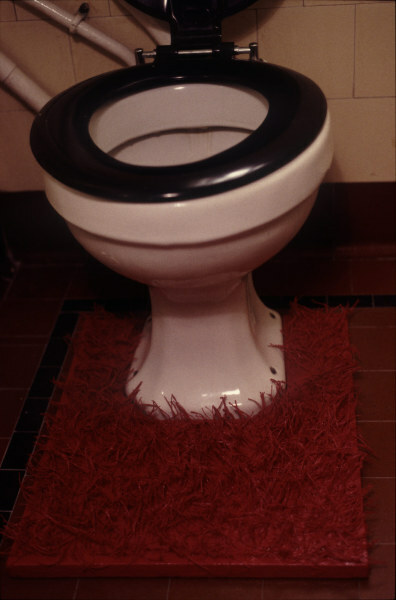 Sitting discreetly against the toilet base, Toilet Mat is a subtle intevention, that elevates the toilet mat to high art and denigrates the painting to the base level of the toilet floor.